You can manage your website menu style, color palette of your website, website text style and much more from the design section. The name for your site. Used as logo text if logo is not available. Style your logo text here. Weight for logo text can be managed from here. You can choose your Text to be Thin, Normal or Bold. Position of your Logo and Menu in the site header. Upload the Favicon for your site. The base color for your site. Background image for your site. Use a jpg / png image with ideal size 2000px width X any height. The base color of the main content area. The base color of your site header. Enable this toggle to over ride header color on your cover banner. 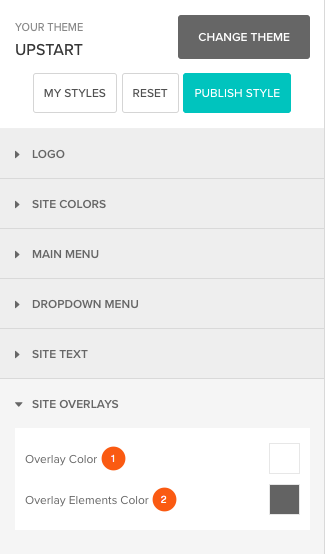 The base color for your site footer. Hover color shown in image grids. Color for text and elements shown on hover in image grids. Weight for text and elements shown on hover in image grids. Style for the menu links. Weight for the menu links. Hover color for menu links. Style for hover and active links in menu. Color for the active menu link. Base color for menu links. Style for your drop-down menu links. Weight for the drop-down menu links. 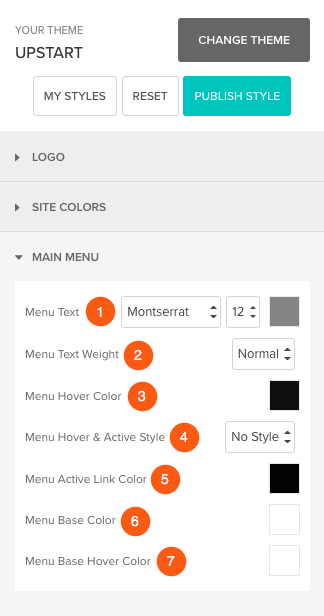 Hover color for the drop-down menu links. Base color for the drop-down. 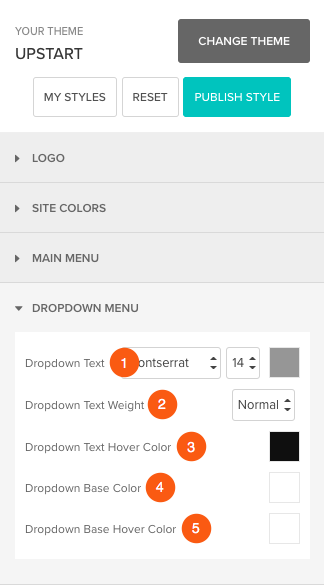 Hover color for the drop-down. Style for headlines in cover banner. Weight for headlines in cover banner. Style for all body text. Weight for all body text. Hover color for all links. Base color for the image viewer. Color of navigation arrows, icons and other elements in the image viewer. Style for footer text and other elements. Weight for footer text and other elements. Add extended footer to your site.